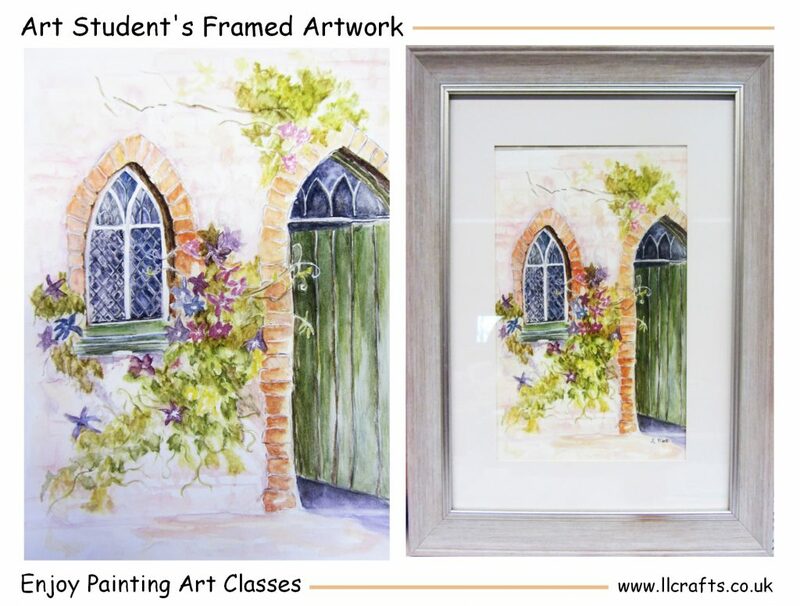 Another of my ‘LLCrafts – Enjoy Painting Art Class’ student’s beautifully framed artwork. 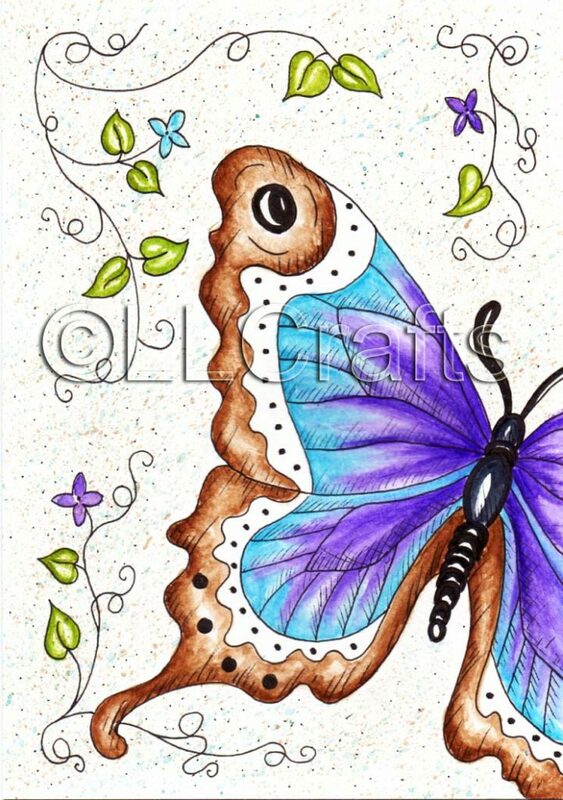 I always encourage my art students to frame their work and it doesn’t have to be expensive!, you can do it yourself! 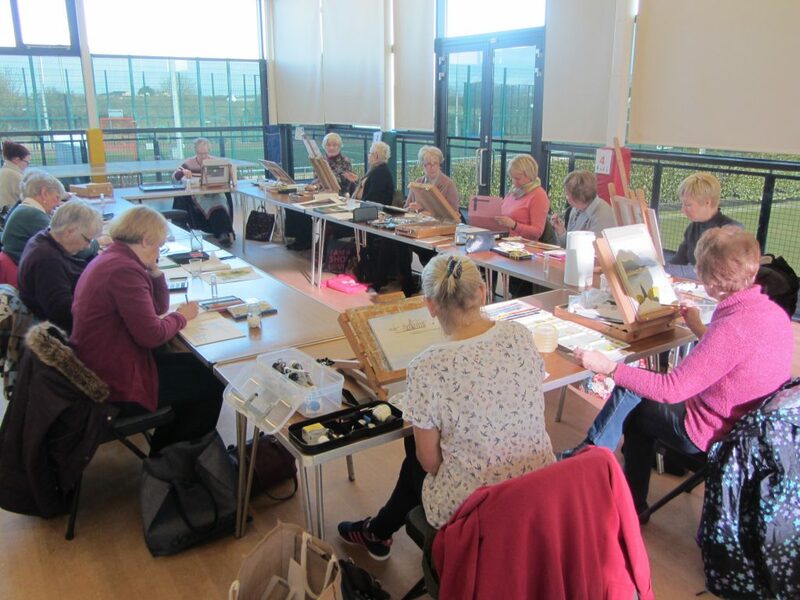 LOVE TO PAINT or WANT TO LEARN TO PAINT! 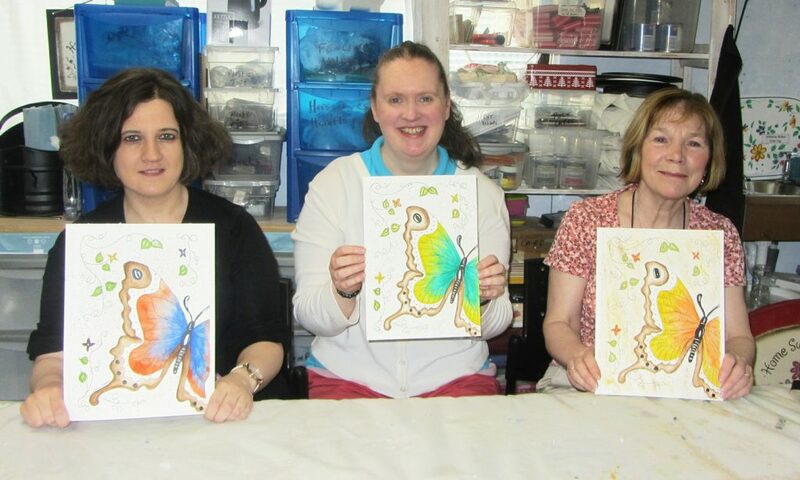 Would you love to paint! …… Enjoy a brilliant hobby! …… Anyone can paint, you simply paint at your own pace! 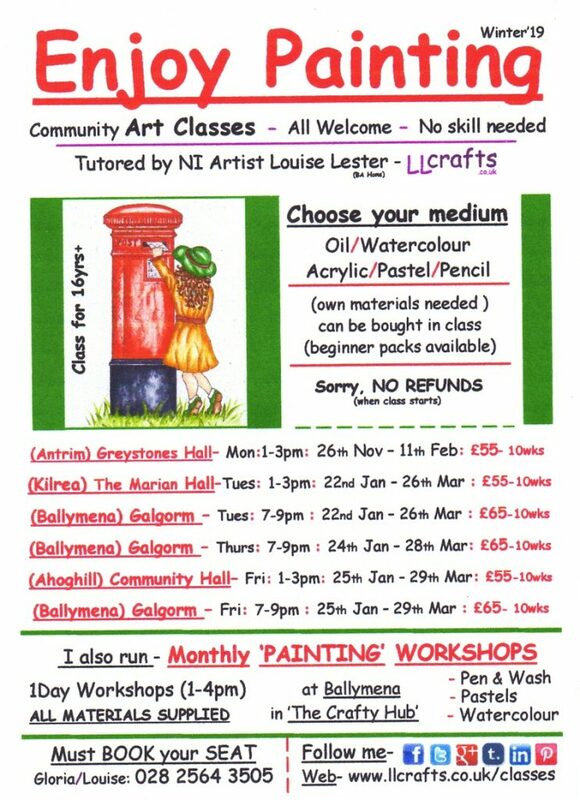 I am taking bookings now for my WINTER’19 ART CLASS session …… with classes in ANTRIM / KILREA / GALGORM / AHOGHILL / BALLYMENA to choose from! 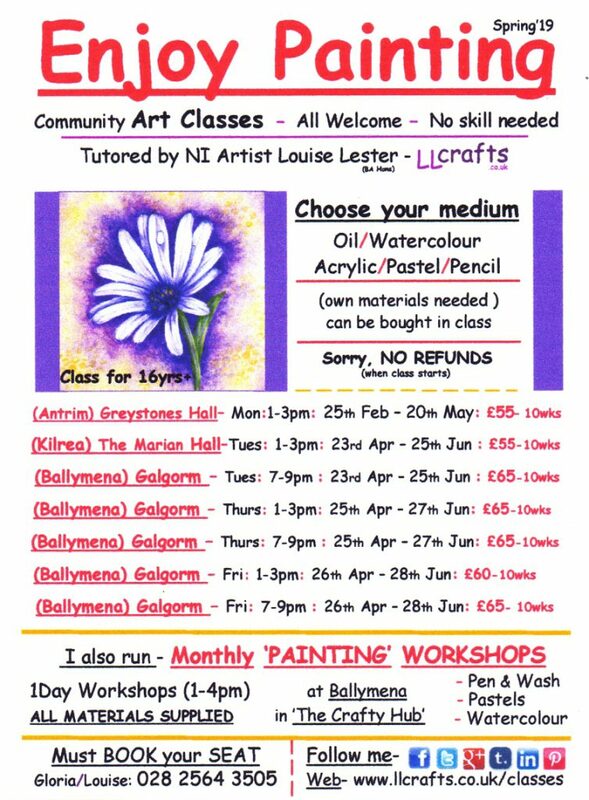 GIFT VOUCHERS Available, for students to join a class! Smiling Faces!! 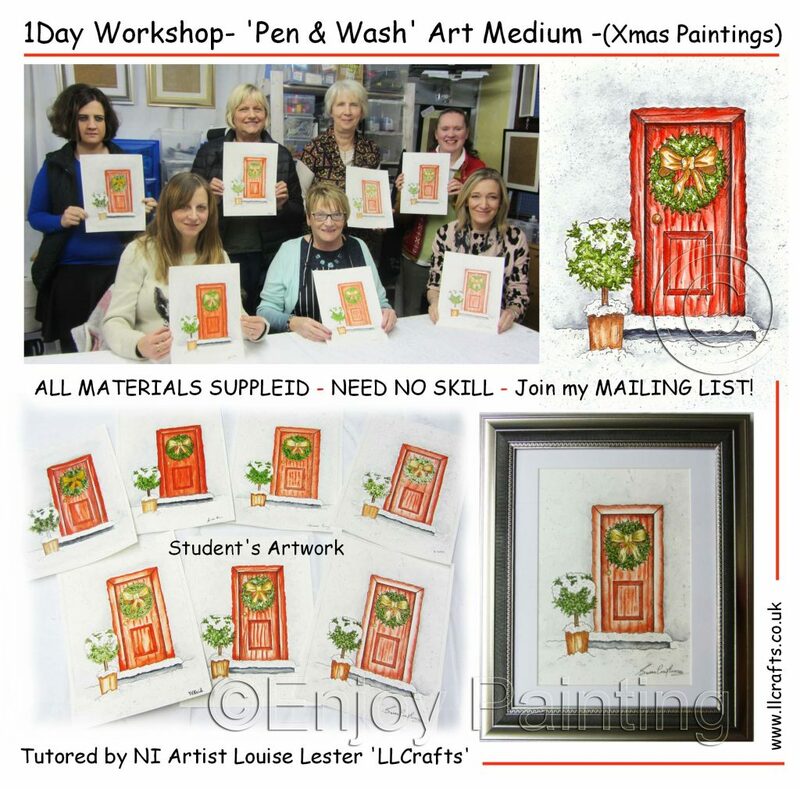 from my latest ‘1Day Painting Workshop’ …….. which was a brilliant, relaxing day, and got us all into the CHRITSTMAS spirit with this beautiful xmas red door painting ……. 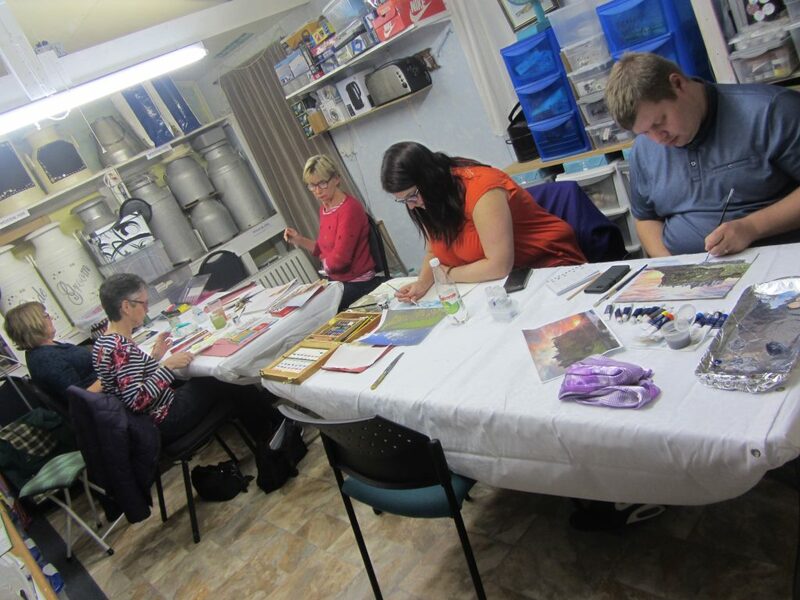 WELL DONE to all the students, and half of them even framed their work aswell before they went home! 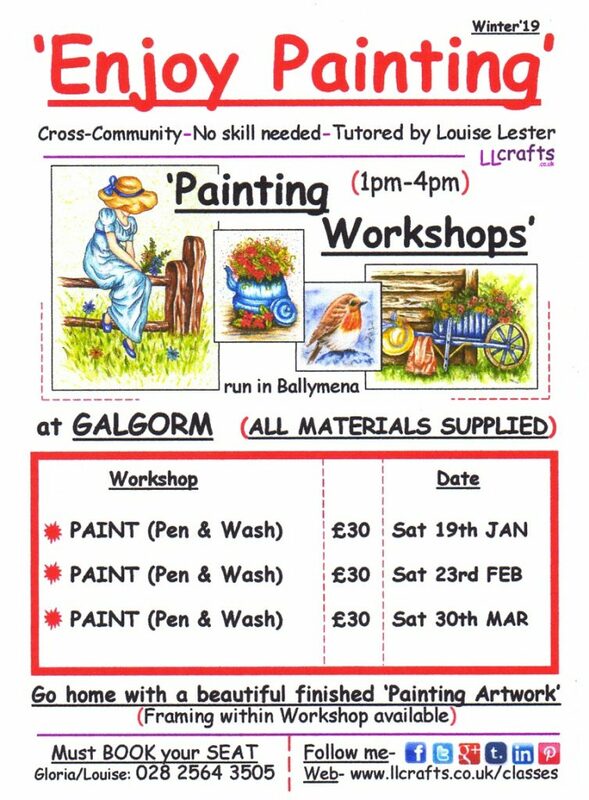 Want to join my next 1DAY PAINTING WORKSHOP!! 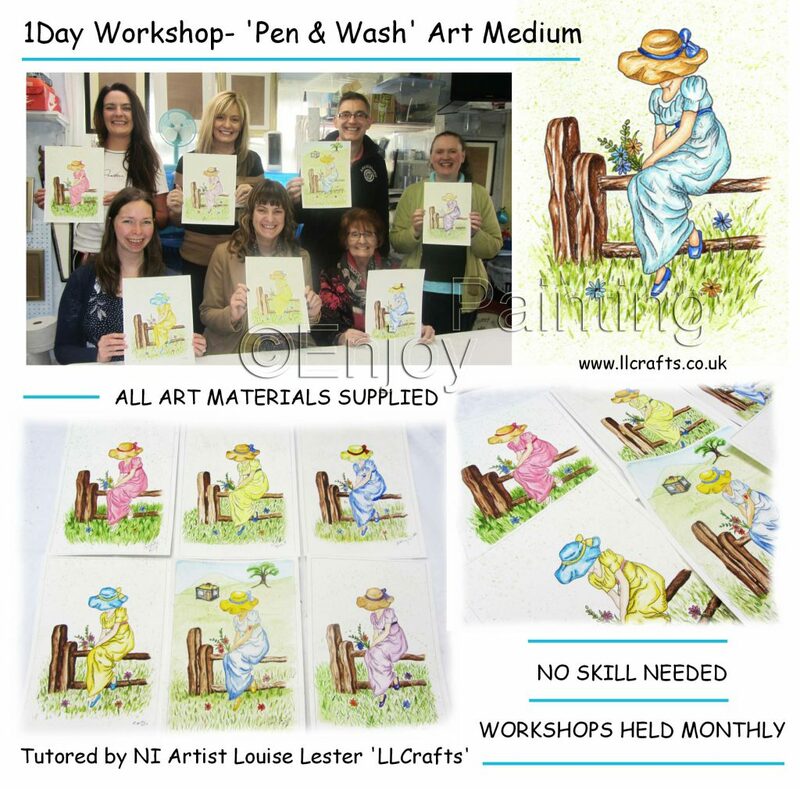 …….. want to JOIN MY MAILING LIST …… contact me!